In more than 30 years of practice, Martha Dawson has focused on commercial and complex litigation. As a trial attorney, Martha understood the important role that document requests, proper document production, and the management of documents played in course of the litigation and trial. As a founder and co-chair of e-DAT, Martha’s practice has focused entirely on the legal issues of electronic discovery and records management for the past 15 years. She regularly counsels clients regarding litigation readiness, records preservation and legal holds, collection issues, and all manner of discovery related issues. 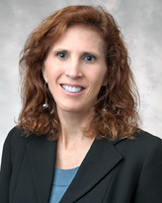 Martha serves as both Special and National e-Discovery Counsel to clients working with their trial counsel of choice. Reasonable, responsible and defensible solutions to often challenging discovery issues require the in-depth knowledge and legal experience that she brings to bear on each matter. Click here to view Martha’s complete biography. 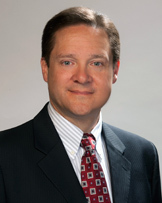 Mr. Smith has practiced at K&L Gates since 1987 and is a partner in the firm’s Pittsburgh office. He concentrates his practice in the area of complex commercial litigation. 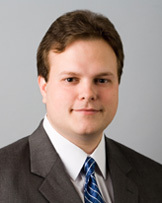 Mr. Smith is a founding member and co-chair of the firm’s e-Discovery Analysis and Technology (e-DAT) Group, and regularly counsels clients in matters involving complex records preservation and collection issues, litigation “holds,” e-discovery, and records management and retention policies. He also regularly speaks at national and regional conferences on records management and e-discovery issues. He has published numerous articles and newsletters on e-discovery issues, and was a contributing author in the PBI Press book entitled “eDiscovery,” published in September 2008, an update of which is soon to be published. He also is a charter member of the E-Discovery Special Master panel for the United States District Court for the Western District of Pennsylvania. Click here to view Mr. Smith’s complete biography. Ms. Halter is a partner in the Seattle office of K&L Gates. Her practice includes general commercial and business litigation, and in particular, managing large, document-intensive cases, specifically those involving electronic discovery. For more than a decade, Ms. Halter has counseled clients regarding discovery in cases involving intellectual property, securities and banking, including SEC and FINRA investigation matters, antitrust, products liability, real estate and employment litigation, as well as other government and internal investigations and public records act requests. Ms. Halter also counsels clients on records management and litigation readiness issues, providing advice and assistance regarding records retention policies, practices and schedules, employee training and other recommendations to maintain legal compliance, lower record management costs, and reduce liability risks. Click here to view Julie Anne’s complete biography. 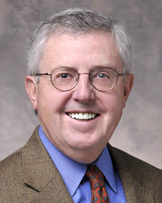 Tom Kelly is a partner in the e-DAT Group in the Seattle office. He has been a trial lawyer for over 30 years and his practice has included commercial disputes, class action cases, employment law litigation, trust and estates litigation, defense of professional liability claims, and litigation involving municipalities. He has extensive experience in dealing with attorney-client privilege and attorney work product issues. Click here to view Tom’s complete biography. Mr. Miller is a partner in the firm’s Pittsburgh office and regularly counsels clients in matters involving complex records preservation and collection issues, litigation “holds,” e-discovery, and records management and retention policies. Mr. Miller’s practice also focuses on counseling and litigation in the fields of antitrust and intellectual property rights, including domestic and international trademark, trade dress, and copyright matters. Click here to view Daniel’s complete biography. Rachel Tausend, a partner in the firm’s Seattle office and its e-Discovery Analysis and Technology (e-DAT) Group, is an experienced securities enforcement attorney and civil litigator. Over the course of her career, she has developed an in-depth, practical and hands-on understanding of information governance and e-discovery. Her practice has included representing clients in civil litigation and in regulatory examinations, investigations and enforcement actions, and conducting internal investigations. She now focuses primarily on the information governance and e-discovery issues and needs in these and other types of matters. Click Here to view Rachel’s complete biography.